As soon as the mohawked Raul Meireles unleashed a right footed shot past Genk’s keeper Laszlo Koteles, it marked the beginning of a great game for Chelsea and a long night for Koteles. The 25 yard strike was just the tip of the spear as the Chelsea attack scored 5 goals in their victory Wednesday night against Racing Genk. This victory is yet another in a fantastic run of form that has included victories over Bolton, Everton, and Swansea. Undoubtedly the highlights of the night were the two goals from Fernando Torres. This marked the Spaniard’s first brace since pulling on a Chelsea jersey, and it was to the delight of owner Roman Abramovich and the Stamford Bridge faithful alike. Torres’ first goal came in the 11th minute off a nicely placed ball from Frank Lampard that played Torres between two Genk defenders; Fernando was then able to slot home the finish with a calm right footed strike. His second came sixteen minutes later when Raul Meireles crossed the ball as Torres was streaking in front of the goal. Torres met the cross with a perfectly placed header that beat Kotleles on the far side of his goal. The rout continued fifteen minutes later when Branislav Ivanovic rose above the crowd in the box to head home the set piece from Florent Malouda. With four goals scored in the first half, Chelsea looked comfortable to sit back and enjoy possession, but after several chances early on in the second half Chelsea finally found their mark in the 72nd minute. Salomon Kalou fired home the rebound after Fernando Torres had his hat-trick bound shot denied by Koteles. Despite not coming against the biggest opponent, Chelsea’s recent string of dominating victories shows they are becoming comfortable with the squad that has been built around them. The transition from the defensive minded tactics dating back to Jose Mourinho to the current flowing attack favored by Andre Villas-Boas seems to be complete, with Juan Mata popping up all around the pitch making his impact felt. Frank Lampard’s play has improved significantly from the beginning of the season and his recent run of games is the perfect example of Villas Boas’ system taking shape. With this weekend’s Manchester derby and Chelsea taking on Queen’s Park Rangers, they could find themselves sitting in second place within striking distance of table toppers Manchester City. For a team that was largely considered third best in the three team race for the Premier League title, they are now showing that they may be title contenders themselves. 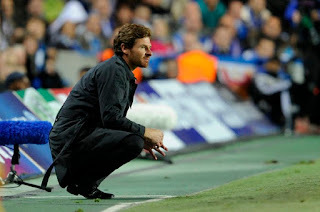 If Villas-Boas is able to help Torres recapture the form that made him worthy of the £50 million outlay then Chelsea will likely find themselves with a lot to play for as the season continues.